The best deal on RCD Espanyol tickets is a click away with EasySportsTickets.com! Reial Club Deportiu Espanyol de Barcelona, better known as RCD Espanyol, are a Spanish football club based in Barcelona. 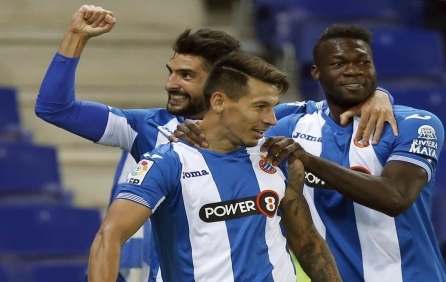 The club plays at the Power 8 Stadium .If you looking to buy RCD Espanyol tickets EasySportsTickets.com can offer you the best deal. EasySportsTickets.com has been the top online tickets provider for all Sports, Concerts and Theatre events since 1994 and our worldwide ability to access the most coveted seats at popular events, guarantees you the best value on RCD Espanyol tickets. Use EasySportsTickets.com to buy RCD Espanyol tickets today!